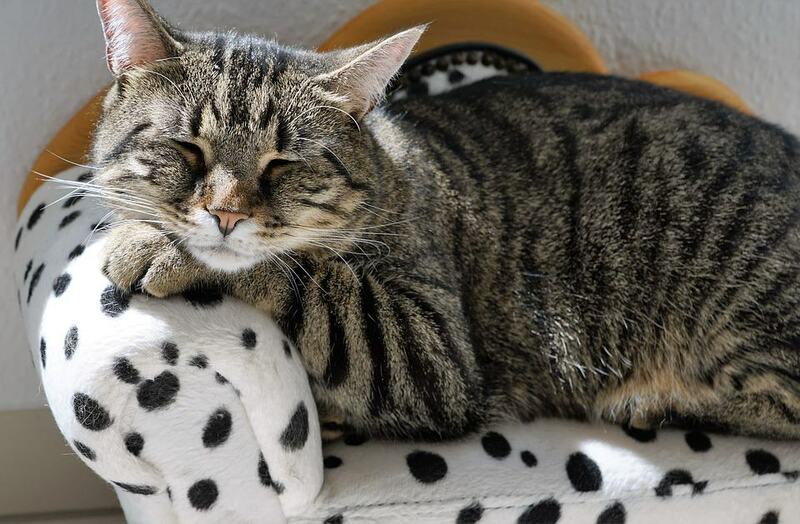 Worried that your lazy cat will gain weight from all his lounging around? Check out these five engaging activities and games that will get him playing and moving! 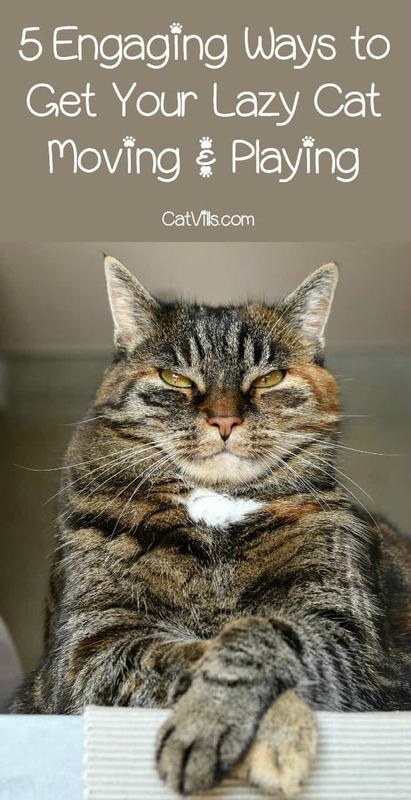 Q: Recently, a reader asked: What are good ways to help a lazy, 10 year old indoor cat get more exercise? Kitty loses interest in chasing string. A: Cats spend much of their day sleeping (you may have noticed this already). While some are quite active during their waking hours, others are less so – but like humans, cats need exercise to help maintain their own health. This is true especially as they get older, but unfortunately, as they get older, they seem to want to play less and less. Keep in mind though – while your 10-year-old cat may be old enough to be set in his ways, he is only a little past middle-aged, and is not too old to be playful. So how do you get him to be more active? (Yes, I know – you just asked me that – bear with me). Cats are a little like children in some ways – the best toys in the world will get boring if they’re all you ever play with, and even the classic string toys can fall into that category over time. * The good news is that there are lots of alternatives, the bad news is that it might take some trial and error to find what works for your cat. *Note: Cats love to chase things, and trailing toys can satisfy their hunting needs quite well. Play with “string”, however, should always be supervised, as it can have devastating consequences for your cat if ingested. 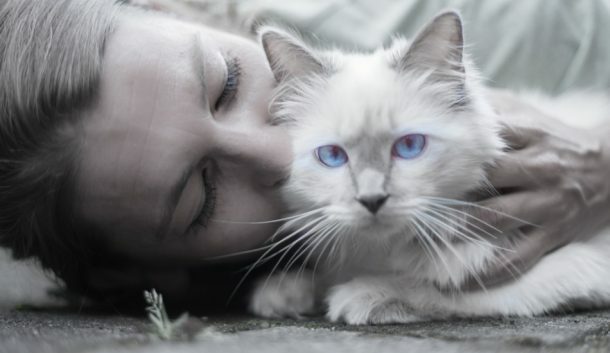 1- The best play time for your cat is time that you are playing with them – it’s good for both of you in terms of activity, mental stimulation, and bonding. This is where interactive cat toys – such as feathers on a stick, boas, crinkle balls or soft foam balls that you can throw for them (cats can be great at fetch) come in handy. 2- For the times you can’t play with your cat, or if your cat needs a little more encouragement, try a toy with its own “personality.” Toys that squeak or chirp when picked up, battery operated toys that move around on their own (one of my favorites – I mean, my cats’ favorites of course – is what appears to be a medium-sized rubber ball with a stuffed weasel attached that rolls and tumbles around the floor on its own, appearing for all the world to be alive), toys that look like something moving under a blanket, and ones that light up in response to movement or sound are enticing to cats as well. If you are leaving toys out for your cat to play with, make sure you check them frequently for wear and tear to ensure your pet’s safety. 3- If you’re still having trouble getting your cat to be a little more active, there are ways to “trick” them into it. One thing that a number of vets recommend is a food ball – a hollow ball that you fill with your cat’s dry food or treats (check with your vet on this one – if your cat is overweight, they may lean towards providing all of their meals – and only their meals – through the ball). Your cat will have to push the ball around the floor in order to coax the food to fall out. They may be resistant at first, but as they figure out that this is where their food will be coming from from now on, they will become more motivated to work for it. 4- Cat trees are another means to trick your cat into activity. Well-placed platforms, scratch pads, tunnels and toys create a playground for your cat that they won’t be able to resist climbing, jumping from, and generally exploring. This holds true for cardboard boxes as well – some days the best toys are the least expensive. 5- Finally, if all else fails and your situation allows it, consider getting another cat or kitten. Even an older cat can respond positively to a new addition if the introduction is done properly (whatever you do, do not force the two face-to-face immediately – this could damage their relationship permanently, or at least set back their integration a long way), and a kitten often serves as a veritable “fountain of youth” for a cat that seemed to have left their kittenhood far behind. Exercise is important for your cat’s cardiovascular, joint, and respiratory health – but it doesn’t have to feel like gym class. Make it fun for both of you, and you’ll both benefit in the long run. Can you think of any fun ways to get a lazy cat up and moving? Share below! what a fun post. We are all dogs here,there for I will pass this on to my cat family and friends.